Queenie McKenzie was born at the Old Texas station on the Ord River in the north west of Western Australia. As a child, her Aboriginal mother protected her from removal to an orphanage under the prevailing government policy that took Aboriginal children such as Queenie, whose absent father was white. As a young girl she began her life of cooking for the stockmen, tending and riding horses, and journeying as they drove cattle across the vast pastoral region of the north. During these years Queenie befriended Rover Thomas who arrived at Old Texas looking for work when 14 years of age. Later, she liked to tell and paint the story of how she saved his life after a riding accident by washing his wounds and sewing him up with a darning needle. 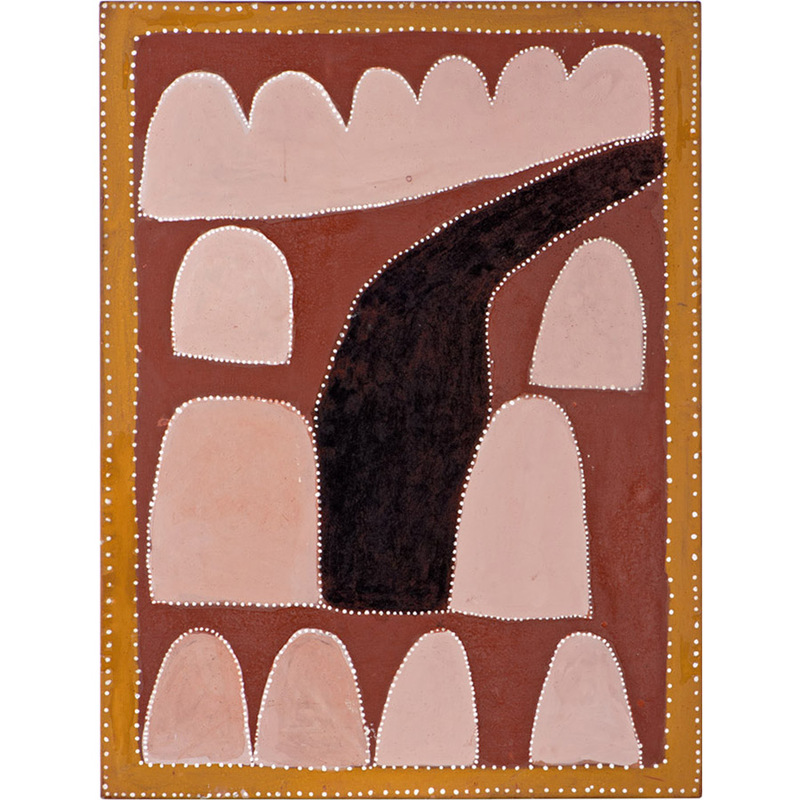 When distant political decisions forced Aboriginal workers to leave outback cattle stations, the Gidja people faced a difficult time of unemployment, dislocation, and impoverishment. Her manner was always decisive and vigorous, reflecting her belief in the importance of maintaining her culture and recording its history. This included the brutal massacres of her people, long remembered in their oral history. 2003 Raft Art Space Darwin NT. 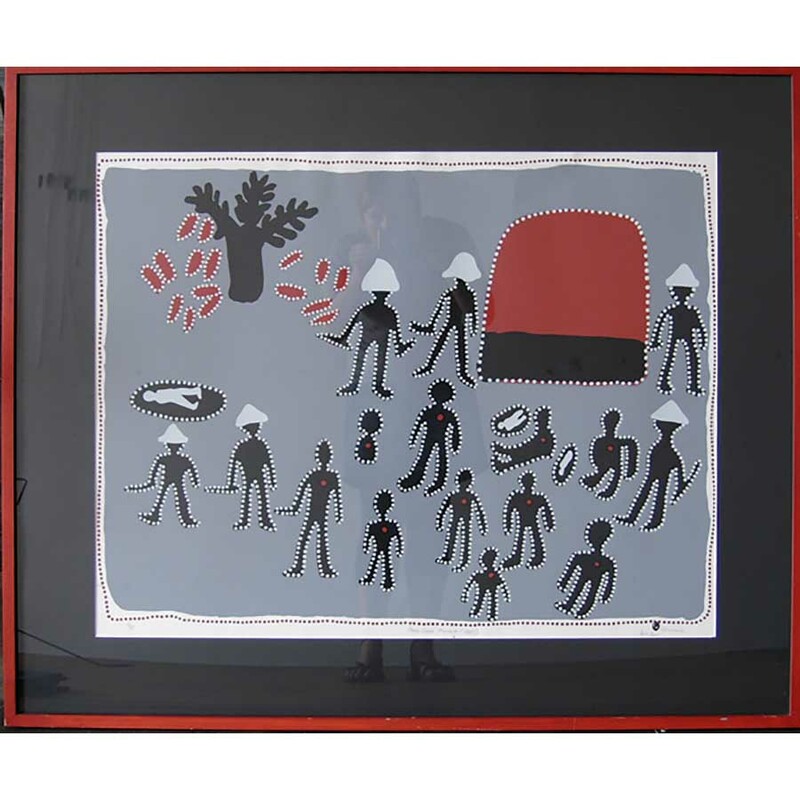 2002-2005 Native Title Business - Contemporary Indigenous Art a national travelling exhibition.